We know you love all things Pocket Monster-related, so we've teamed up with Nintendo UK and our pals at Gamer Network to create a competition where you - yes, you - can win amazing Pokémon-themed prizes, all in the name of celebrating the impending launch of Pokémon: Let's Go! 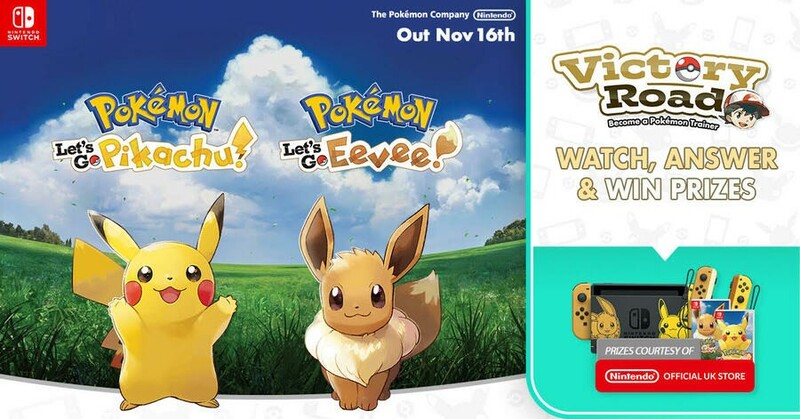 Eevee & Pikachu on Nintendo Switch. All you have to do is take part in a short interactive quiz, hosted by none other than Nintendo Life's Alex Olney. 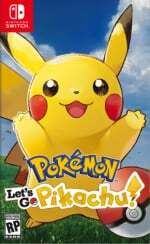 Up for grabs is a Switch console decorated with silhouettes of Eevee & Pikachu which comes complete with Eevee & Pikachu themed Joy-Con, a pre-installed copy of the game, a special dock with Pika & Eevee and a Poke Ball Plus controller. So what are you waiting for? Pop over to the quiz site and get answering those questions. Please note: this competition is only open to UK residents. When do we find out winners? @AlexOlney Best looking quiz show host I've ever seen. Anyway 6/6 scored and email sent. Fingers crossed. Submit button is broken for me. Interactive video quiz, that's a really novel way to promote a game, or anything really. Really threw me off with the 2nd question but luckily I remembered. 6/6 here. @TheMadPolarBear what is the second one? I'm not in to Pokemon but I have some nephews who would love this. Really fun interactive quiz that was. Would love to see more like that. It didn’t work for me either.